Hello, my name is WolfxEyes on smite and this is my first time doing a guide/ build on a god. I'm not english, so i'm sorry if i make allot of grammar mistakes. He's a melee physical assasin. He used to be very mobile and bursty in exchange for some cc and health / defense. To this day they nerfed him hard and in the end he doesn't do that much damage and did he lose his mobility for the most part. But fear not! This doesn't mean he is trash, only he's very limited to a play style. So for now im going for the Shotgun build,which worked great for me. This build is still viable after the update hits. I will update this guide after the update and make it final. 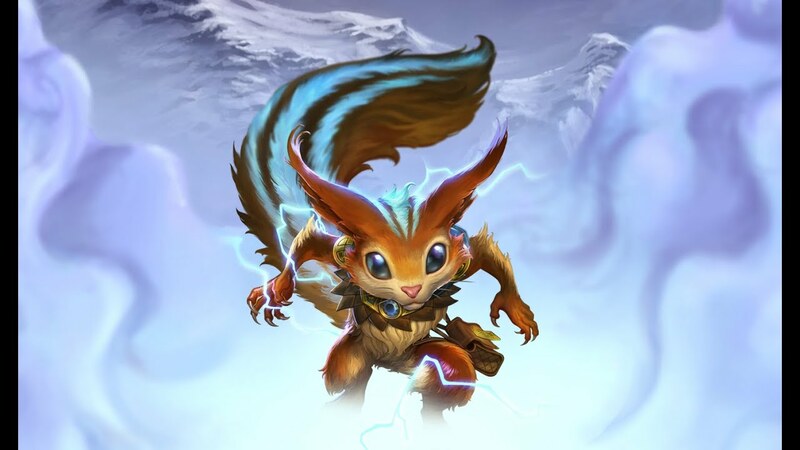 Ratatoskr spawns with a powerful acorn from the World Tree in his inventory. He can upgrade this acorn through the item store from anywhere on the map to strengthen himself and enhance his abilities. NOTE: Ratatoskr must remain immobile (and vulnerable) for a short time to upgrade his acorn. This is his passive, It allows him to buy 4 items for him only. And this can be seen as an annoyance, but this also has allot of perks. You get the first tier for completly free! eventough its only 5 power, its something. The stats on the acorns are kind of alright, but i rather have them boost the pen a bit since it just looks so low. 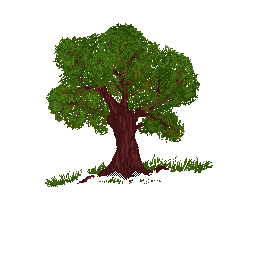 The yellow acorn tree has a great cooldown boost but thats not what we're here for in this build. Ratatoskr dashes in the target direction, dealing damage to all enemies along the way. If Ratatoskr strikes an enemy god he has not struck with Dart in the last 10s, the cooldown is reset. It cannot be reset more than twice in 10s. This is an amazing dash, sadly it got beaten down with the nerf stick. It does a decent amount of damage for a dash, which you can use up to 2 times and it has a low mana useage. You'll be using this ability mostly for escaping, finishing off an enemy or to chase your prey. This is why we're leveling this as last. We're mainly focusing on our 3 for damage. Ratatoskr spins in a circle, shooting 12 acorns out in a circle around Ratatoskr that freeze in air briefly, then return to wherever Ratatoskr is currently, dealing damage on the way out and the way back. So this is going to be our only cc in his whole kit. It gives a total of a 30% slow, its atleast something. I mainly use this as a buff clear ability and also to give a short burst of damage while following up my 3rd ability. The slow is handy to make sure you dont miss your shotgun hit. If they DO jump away after it, just simply use your dash to catch up to them. After you have caught up to them just hit your 3rd ability from short range and secure the kill. If you're the badass type just walk away from your prey after you used your 3rd ability on them while they explode. Ratatoskr shoots a blast of four acorns forward in a cone, each dealing damage. I call this ability 'Shotgun", want to know why? From short distance you do ALLOT of damage and if you dont believe me look above for the number of damage you can do. But from far away you wont do allot, so thats why you need to be close to your target. This ability is also the reason why we aren't going the auto attack way, His abilitys do ALLOT of damage on their own. And you're way too squishy to 1vs1 a bulky auto attack assasin and a hunter. You're crit build might be viable but this way is just way faster and compliments his kit. Ratatoskr charges briefly then leaps from the ground to a branch above his head. He must then jump to a new branch twice more. On the third branch, Ratatoskr chooses a landing location where he strikes down dealing damage. Cancelling Through the Cosmos while in the air at any point causes Ratatoskr to strike down on his last valid target location. NOTE: Ratatoskr can stand on each branch for for up to 3s. I absolutely love this ult, it gives you so much time and you can hop for up to 2 times. This way you can stalk your prey and wait for the right moment to dive in and secure the kill. And also if you're low and someone like thanatos is stalking you, you can just use your ult and wait 9 seconds in the air. Also the damage on his ultimate is pretty good to secure very mobile and low targets. This is a pretty great defensive item on ratatoskr, against physical gods that is. It gives an aura with 20 penetration on a enemy god near you. So basicly this item gives you 30 power, 50 physical defense and 20 pen for every physical god on your team for those enemys near you. This item is very handy if you're going against mages who are annoying you. And with the cooldown and passive its even more handy for ratatoskr. So basicly this item gives you 25 power, 40 magical defense, grants you 10% cooldown and the lower your hp is how the more physical damage you have. This item is very handy if you're going against mages based on auto attacks. Those kind of mages are Sol, Freya, Ao Kuang and chronos. So basicly this item gives you 25 power and 50 magical defense.An aura which lowers the attakc speed of enemys close to you by 20% and their magical power by 50. 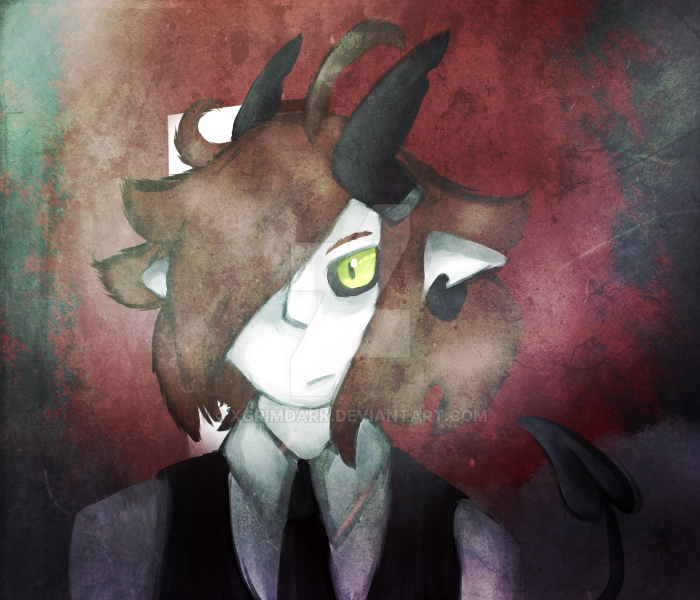 All of the art except the very first one is not made by me and all belong to their rightfull owners. Most of them coming from deviantart and tumblr. Alright, this was my very first guide / build ever who i have posted online. It was fun trying out some codes and making the page look really cool. I won't say that my build is the best and you should follow it closely, this was just my build with who i play alright with. If you got any tips, any grammar fixes or ideas your free to comment. This guide is not final and will be edited and tweaked. If you got gameplay of this build or a similar build be free to post your gameplay in the comments or give me a message i don't know how this works. But i will be posting it by the other video's and such. I hope you have enjoyed this guide made by me. This took me alot of hours, but i've enjoyed every single one of them. Side note, I like the squirrel and nut gifs...and I especially like the leaf divider you use in the skills section. Nice touch. Spacing: Spacing, to me, is a HUGE thing. You don't want huge gaps of space between sections or topics, but you also want enough that it's easy to separate them with your eyes. Example in your base stats chapter, there is a space between the topic "Base Stats" and the values underneath...but then there's ZERO space between those stats and the next topic, "Protections." There absolutely should be separation there. That type of idea should apply throughout the entire guide. If you'd like, check my guides again, and pay particular attention to how I space things. Sometimes getting the perfect spacing (to my liking) takes a couple edits and refreshes just to confirm the change was good)...but that's what I do. Centering: This is MY personal preference, but I don't like most sentences/paragraphs centered. It makes for awkward reading. See what I mean with the centering thing? I like things justified on the left, at least when reading paragraphs...your eyes just know where to go automatically when you're done with one line. More like reading a book or anything else standard. I'm okay with centering for things like Pros / Cons, especially when they encompass only short phrases. Easy, no problem there. For your skill icons, you might as well BBcode them just like you do for items. Finally, finish up your other items sections/spoilers. That's a "duh," I'm sure, but you first published in March (?) and it's many months past that point...get it done to make it officially complete. 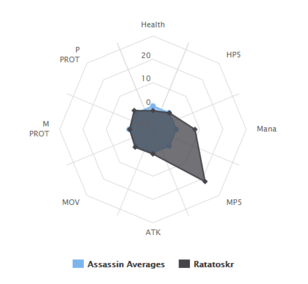 I don't play Rat, so I don't know about the accuracy I would have in providing feedback on the build, but if you want, I can also do that. 111510 Branmuffin17 Hey Wolf, Alright, some feedback. First, I always like to reference the patch (e.g. 3.18) to which the guide has been most recently updated. Check out how I reference that at the very beginning of all my guides. It just lets the viewer know how current the information is... Side note, I like the squirrel and nut gifs...and I especially like the leaf divider you use in the skills section. Nice touch. Spacing: Spacing, to me, is a HUGE thing. You don't want huge gaps of space between sections or topics, but you also want enough that it's easy to separate them with your eyes. Example in your base stats chapter, there is a space between the topic "Base Stats" and the values underneath...but then there's ZERO space between those stats and the next topic, "Protections." There absolutely should be separation there. That type of idea should apply throughout the entire guide. If you'd like, check my guides again, and pay particular attention to how I space things. Sometimes getting the perfect spacing (to my liking) takes a couple edits and refreshes just to confirm the change was good)...but that's what I do. Centering: This is MY personal preference, but I don't like most sentences/paragraphs centered. It makes for awkward reading. [center]See what I mean with the centering thing? I like things justified on the left, at least when reading paragraphs...your eyes just know where to go automatically when you're done with one line. More like reading a book or anything else standard. [/center] I'm okay with centering for things like Pros / Cons, especially when they encompass only short phrases. Easy, no problem there. For your skill icons, you might as well BBcode them just like you do for items. Finally, finish up your other items sections/spoilers. That's a "duh," I'm sure, but you first published in March (?) and it's many months past that point...get it done to make it officially complete. I don't play Rat, so I don't know about the accuracy I would have in providing feedback on the build, but if you want, I can also do that. One item that works extremely well for the Rat is Masamune. Since the Rat has the lowest level 20 health out of all physical gods, he also has the highest chance to have another 50 physical power, which would give him 100 physical power from 1 item (not to mention another 10% movement speed)! Try it and see! 110269 Soldier for God One item that works extremely well for the Rat is [[Masamune]]. Since the Rat has the lowest level 20 health out of all physical gods, he also has the highest chance to have another 50 physical power, which would give him 100 physical power from 1 item (not to mention another 10% movement speed)! Try it and see! I see! :) i will add it to the guide, eventough its not really that updated since he had a rekit. But thank you for the suggestion :D i appreciate that. Never really tried Ratatoskr, but I saw your build and decided to try it. 103968 ygantor Nice, in-depth build! Thanks!